In July of 2014, after much careful deliberation and going back and forth with my Hyna, I decided to pack all of my worldly belongings up and move “up-north.” To make a long story short, we made a long distance relationship work: she liked her job more than I liked mine so I happily obliged. We settled into a lovely two bedroom home with a yard with a few raised beds, hops that grow like weeds in the summertime, and a built in porch grill. What else could a Chicago boy ask for? My initial attraction to this city was based off of more than the fact that my ruka lived here, but the fledgling art scene, the overwhelming politeness possessed by most people that one meets and encounters on a day to day basis, the excellent beer culture, and appreciation of the outdoors. I knew from the beginning that as much as I liked the place I would never truly fit in, even after wholly embracing all of the things that make Wisconsinites Wisconsinites (minus the whole Packers things, but that’s a different topic altogether) I concluded that I would always be seen as an outsider, because of the simple matter of sociolinguistics. The fact of the matter as I perceive it is that they all speak with a funny albeit endearing accent. If you have never heard the Wisconsin accent I encourage you to imagine a subtle version of the mother from Bobbie’s World or Click Here. Now just imagine that without all of the hokey “dontcha knows.” It is no secret that I have always been very accent conscious and have always made an effort to speak as neutrally as I thought possible, and by Odin’s Raven! I thought I was there. That is until I was no longer surrounded by a sea of Chicago accents and all of the subtle inter-city regional differences. “Hey! Where is the best place to get some pizza,” I said to a teammate after a particularly grueling evening practicing chasing an egg and hitting people. “Pizza?” he answered in an almost smug tone. “Yea pizza, don’t you like pizza? “ I answered. “What’s peeksa?” he once again smugly replied. It was at that moment I realized the one thing I have been avoiding my entire conscious life has come to fruition in an unconscious manner; I had to own the fact that I am blessed with a Chicago accent. After that incident I began to start thinking about the implications of this. 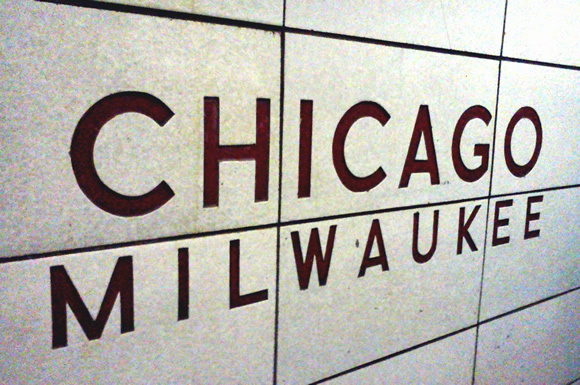 Perhaps it had always existed and took leaving the comfort of Chicago’s warm maternal embrace to realize its existence. Who really knows? It could even be a case of subconscious intentional hamming it up because it helps maintain my identity as a Chicagoan. Some of you may have just read this and thought to yourself, what is the Chicago accent? For those of you asking this question, I’d like to direct you to this recent edition of CuriosCity where they attempt to tackle this very topic. You can hear it for yourself here. It boils down to Chicago’s rich history of immigration from various parts of the globe and country which have allowed the English language to develop in a manner which can only be described as the most unconsciously diverse and perfect way to speak. Although numerous studies have suggested that Chicagoans share an accent with plenty of other northern Midwest cities, I would argue that Chicago actually owns the accent as the capitol of the Midwest. My accent, or rather the perception of my accent by others, will be a part of me forever. It is as deeply imprinted on my soul as the undeniable truths that the tallest building in Chicago is the Sears tower , the White Sox play at Comiskey Park, the lake is east, and ketchup has no place near a hot dog.